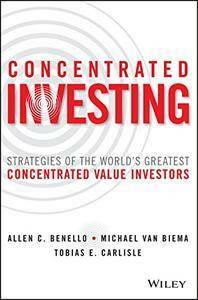 Concentrated Investing: Strategies of the World's Greatest Concentrated Value Investors chronicles the virtually unknown—but wildly successful—value investors who have regularly and spectacularly blown away the results of even the world's top fund managers. 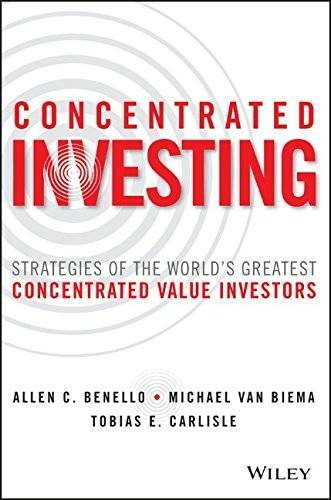 Sharing the insights of these top value investors, expert authors Allen Benello, Michael van Biema, and Tobias Carlisle unveil the strategies that make concentrated value investing incredibly profitable, while at the same time showing how to mitigate risk over time. Highlighting the history and approaches of four top value investors, the authors tell the fascinating story of the investors who dare to tread where few others have, and the wildly-successful track records that have resulted.